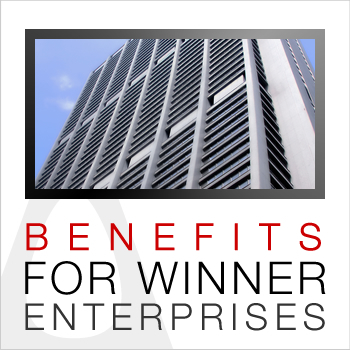 How A' Design Award Benefit Companies? Extensive coverage in global media ensures that you are reknowned worldwide. In association with DesignPRWire, we submit your multimedia press-releases to a wide range of editors in magazines, newspapers and e-zines worldwide. We reach thousands of editors in design and category related magazines to communicate your products in an editorial way. In addition to standard press and traditional media communication, A'Design Award & Competition advertises winners in online media and search engines as well to millions of people who are searching for design. We have a dedicated budget to advertise winners. See advertisement channels here. The "A' Design Award Winner Certificate" is a proof of quality of design which you can use to highlight the qualifications of your product. Winner Companies can download the "A' Design Award Winner Logo" and use this special logo with your product packaging or websites. The A'Design Award will also present itself in design oriented trade-fairs around the world, winners will got chance to be promoted in these fairs, conferences, meetings and other design related events in order to create the sectoral hype. Winners are introduced to Curators, Architects, Designers, Companies, and other relevant people and institutions in the design world to get more out of the award. In addition to our press contacts, we engage in serious Public Relations campaigns with the people that we got to now in the design events. Winning the A'Design Award, is prestigious, it is a very solid reason to contact the press and celebrate your excellence in product design, to have increased exposure of your designs and products around the world or give an advertisement. Winning designs get enough exposure to increase the sales of products significantly. A' Design Award Winner logo helps undecided buyers to pick a reliable decision easily. it is an investment that you can rely on throughout the life of the product. Scientific studies on the subject matter indicate that by placing the "Award Winning Design" logo, you are highly likely to increase your sales. Top designs are featured in this yearly book to increase the exposure of designs and products to a wider public. These yearly ResultBooks are delivered to a wide range of professionals, editors and lead buyers, being in this publication assures long lasting advertisement. Perfection attracts perfection. A' Design Award winner companies usually get the opportunity to work with the best talent; highly skilled designers, architects and artists will be applying for jobs to the winning companies. Is there a talented employee in your company? If she/he wins, your company also wins! Your company will also receive the same A' Design Competition Award addressed to your company name, furthermore your company's name will be written to our hall of fame and will be listed in the winner-companies page with a link to your company website. Please check award levels to see who is considered a winner. All the participants of the A' Design Award and Competition will receive a detailed score sheet that could be used for to determine the strengths and weaknesses of the projects. To see an example score sheet click here. The Theory: Like numbers, the varied designs of products, projects and services of a company or designer naturally tends to regress to the mean. To rephrase the more work you design, the more average your work becomes, statistically; you will have great designs and some terrible designs. Since designers and companies love their own works, it is not always possible for them to accurately decide what to include in their product portfolio and offerings, and since the value is mostly averaged rather than added by consumers, the overall portfolio of a designer or company is evaluated based on the average value proposal of existing designs or products; if you have many good products you are considered good, if you have some very great and some not so good products you are considered average. There is need to determine which products or designs are great which are not, and the not so good products shall be removed from the portfolio to increase value. While releasing to market is indeed a good test for a products validity, it is not always a smart decision especially when such test could be approximated in a faster and cost effective way called "design award participation". The method will work if the award is truly sincere about evaluation, if the jury size is significant, and if the result is remarkable; did your product earn the first place in the competition? Or did it got ranked in the last? Anything in between is not a hint, but the extremes can very well guide you to determine your project value. Participating in a design competition you can thus potentially learn if your product will be a market success or not without the apriori investment required to realize, launch, and distribute it. To remind once again the averages do not count; focus more on rankings; was your product the best or the worst? This answer can be useful, any result in between could be considered inconclusive. Get ranked in World Design Rankings by representing your country, and get ranked in Designer Rankings. Earn fame, prestige, international recognition, credibility and honor. Position yourself as a market leader who comes up with new and innovative products and technologies. Get listed in Top Lists of Design. Get found when people are searching for the “top” company, “best” enterprise, “greatest” products, “talented” in-house design team, “award winning” design, “world’s top design” company, “creative” enterprise, “world’s best” product etc. Your brand will be enrolled to DAC (Design Classification) system which lists “the very best” companies in different creative categories. A’ Design Award & Competition translates each award winning work up to 40+ languages. This means that your company will be able to reach new international audiences, clients and prospective buyers. When people search for a service or product in a foreign language, these people let them be editors, consumers or distributers will be able to find your company. You might also like to check the winners services and winners pack. • The Design Prize, given to A' Design Award laureates. • Benefits of Design Awards for Winners. • Benefits of Design Awards for Sponsors, Organizers. • Benefits of Design Awards for Designers, Architects & Artists. • Benefits of Design Awards for Academics, Universities & Institutions. • Benefits of Design Awards for Countries, Trade Organizations and NGOs. • Benefits of Design Awards for Brands, Businesses and Companies. • 10 Good Reasons to join the A' Design Award. • 8 Grand Reasons to join the A' Design Award once again. • Benefits of Participation to the Design Award. • Learn why Design Awards Matter. • Learn what makes the A' Design Awards positively better. • It is easy to justify your participation. 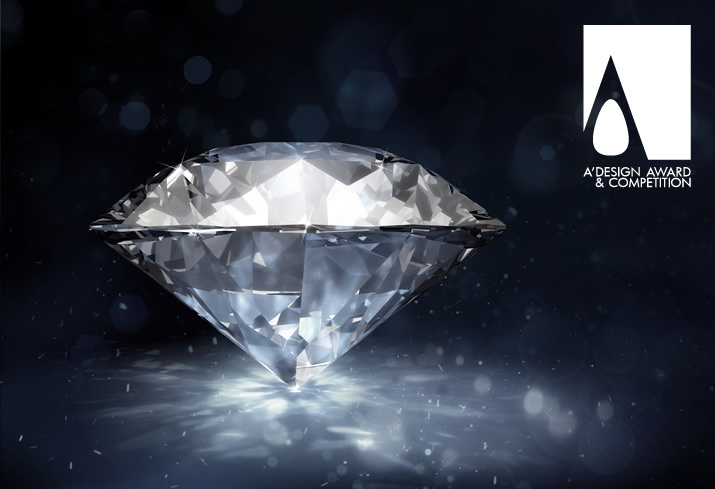 Outshine your competition by winning A' Design Award; a diamond opportunity to promote your good design work, products and projects to design enthusiasts, press members and buyers worldwide.